I often wonder if we are really scraping the bottom of the barrel when it comes to late night eats in East Van. Yes, there are many options left in Downtown and Richmond; but it appears not everyone is open to heading to those destinations. 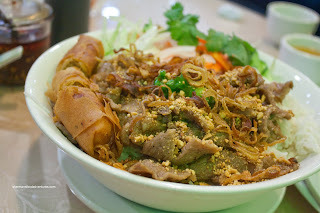 Hence, we resorted to visiting a completely random Vietnamese joint on Kingsway. I honestly wouldn't have known this place existed or that it was open late if I hadn't driven by it one early morning. I took a mental note and saved it for an emergency. So much like breaking the glass to pull the fire alarm, I did so by suggesting we eat at Pho An. The first thing I noticed when we arrived was the brightness of the place. 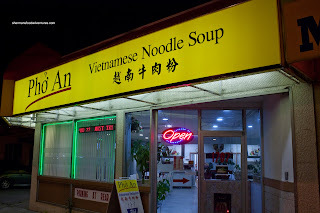 Unlike many Pho joints in town, I didn't have a problem with lighting for my pictures. That's good too. Didn't want to use the flash. Drawing attention to myself during late night eats can sometimes be unnerving. Gordo, Milhouse and Sweet Tooth all ordered Salad Rolls to start. They felt bad for me and let me try some. Aw... such nice people! Sadly, these rolls were a complete fail. From the lack of ingredients (they only used shrimp and lettuce) to the entirely too loose wrap-job, there was nothing much good about them. No one could even keep them together in order to use the dip. At the very least, the dip was a good balance between hoisin and peanut. For myself, I settled on the Pho Dac Biet; however, the picture is of Gordo's bowl of beef and meatballs. I got lazy and just took one picture of the Pho. As you can see, the bowl of noodles is somewhere in between meager and sparse. Sure, the price ain't expensive; but the amount of meat and noodles was not exactly overwhelming. The meats were good though, sliced thinly and easy to chew. The beef broth itself was on the lighter side. I didn't get too much meat flavour. It was on the sweeter side. Milhouse decided to do the BBQ Pork & Spring Roll Vermicelli Bowl. I should've ordered this instead. So much more food at roughly the same price as my Pho. He remarked that the meat was tender and well-seasoned. 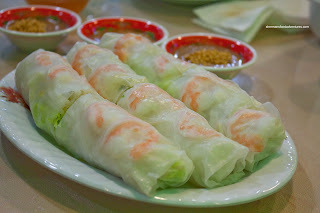 The spring roll was pretty good despite the use of a wheat wrapper. Pho An is pretty much a place of convenience. It's open late and when there is not much in the way of choice, it fits the bill. 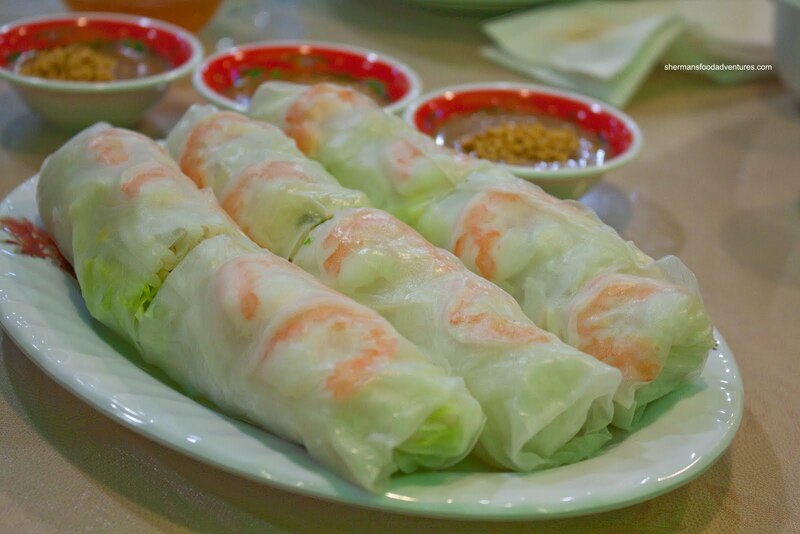 However, there are much better places for Vietnamese food during regular hours. This place I've been to before. Looks like they fixed their exterior sign, looks nicer now. As noted, it was quite average, maybe below par even in terms of satisfaction from the meal. 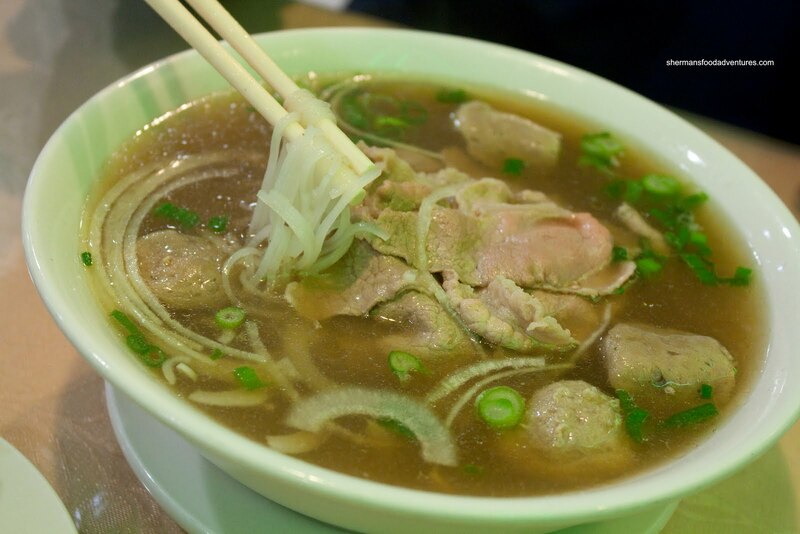 My Chau, just a few buildings down, is where the real deal pho is at (get the wider, fresh noodle there!). I think An gets by with having longer operating hours. If not, My Chau would kill them straight up. 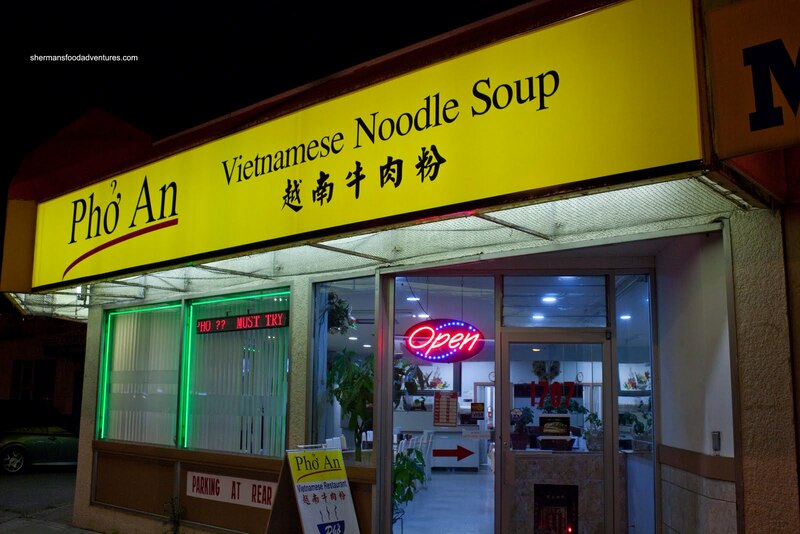 Hey Sherman - Pho Van on Fraser & 18th is open 'til midnight, every night (I think).